When light passes through a medium it refracts, i.e. changes course. If left uncorrected, this refraction can cause visual distortion and eye fatigue. 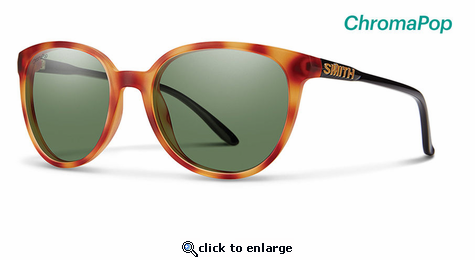 Smith?s Tapered Lens Technology straightens out the incoming light rays by progressively tapering the lens from the optical center toward the peripheral view. What this means for you is that you see with 100% accuracy and maximum comfort. From Smith's ultimate integration between goggles and helmets, to the unmatched clarity of the ChromaPop lens, its' devotion to excellence, innovation and style has made Smith goggles, helmets, and sunglasses the choice of action-sport athletes worldwide. Smith products represent authentic sports gear, researched and tested by a dedicated group of employees and athletes that live and breathe the lifestyle. It?s easy to make great product when you love what you do.